For Sale ? For Lease ? For Rent ? Coming soon ? what's happening with your Real Estate properties? Banner advertising is a common way for businesses to reach out customers, and these marketing tools are equally as effective for real estate brokers. Similar to the signs that are used outside of a house for sale or open house, custom real estate banners can provide contact information and the business's name. 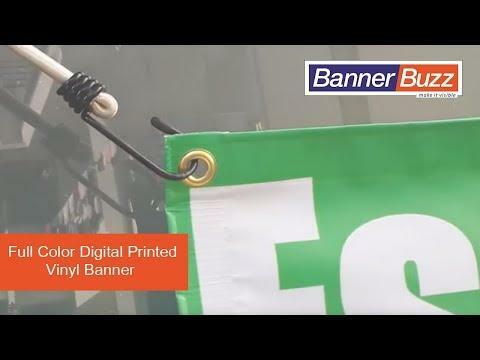 What makes vinyl banners different than other signs? Not much, actually. 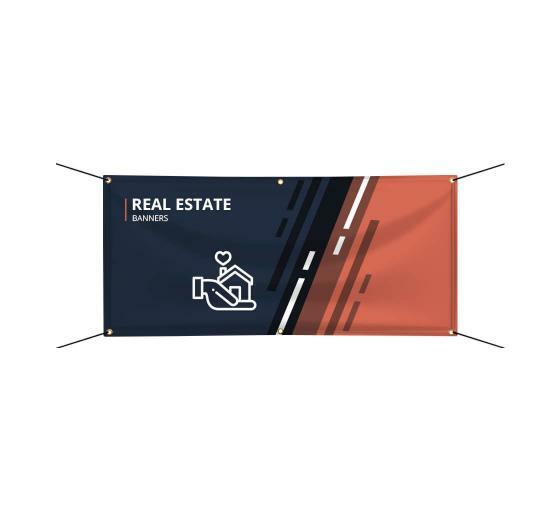 Because BannerBuzz can make real estate banners in a variety of sizes, we even offer banner stands for realtors who wish to continue marketing themselves beyond a property they are leasing or selling. This method of marketing is a new spin on strategies that realtors have been using for many years. Unlike material used to create other banners, our custom real estate signs and banners use a durable vinyl resin that is also tear-resistant. Therefore, it will be able to handle weather in any part of the country. Realtors who wish to market properties year-round will have an opportunity to do so. The sooner the local community is aware that a specific property is for sale or rent, the more likely they are going to contact the real estate agent to visit and bid on the place. Real estate banners can be used inside as well during an open house at the office of the brokerage. If the property is "open house", "for sale", "available for rent", "booking appointments for visits", "now leasing", realtors have the opportunity to convey any of these messages to their local market. Consider BannerBuzz to be your brokerage one stop for all your marketing tools. Regardless if you're in the commercial or residential real estate business, there is great value to partnering with BannerBuzz. Readily available for purchase, our team has a large collection of pre-printed of real estate banners that have helped others gain foot traffic to their homes. Those looking for custom real estate signs and banners can also utilize the web application to upload graphics to build a banner from scratch as well. Either way, our design and customer service teams are here to guide business owners each step of the way. To ensure that our team got it right, business owners will receive a complimentary art proof prior to handing over the design to the printing team. We understand that real estate agents are under a tight schedule, and we want to help realtors close as many housing projects as they can. Our massive printing network allows us to design real estate banners and custom real estate signs from most parts of the United States.